Yerry Mina, the new signing for 2017/18, will become the first Colombian to play an official match with FC Barcelona. 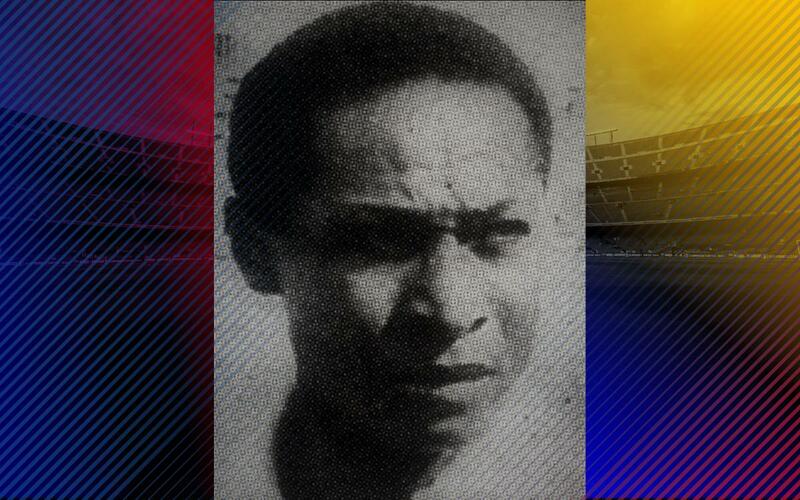 However, in the history of the Club there is already a footballer born in Colombia who wore the blaugrana shirt but never got to participate in an official game: Lauro Gonzalo Mosquera. There is little information about a forward who went to Deportivo Independiente de Medellín and who participated in the Copa América in 1957, before having a trial at Barça seven years later. It was on June 24, 1964, at the Nova Creu Alta de Sabadell, when Lauro Mosquera played for FC Barcelona for the first and last time. The coach was César Rodríguez, who was the highest scorer in the history of the Club until the appearance of Lionel Messi, while the Colombian could count goalkeeper Pesudo and the legendary Eladio amongst his team mates. As it was his only game for Barça, it indicates that Mosquera didn’t pass his trial, and the result didn’t help: 4-2 to Sabadell. Yerry Mina will not be the first ‘Mina’ to play at Barça. Santiago Mina Vallespín, an Aragonese defender born on March 11, 1958, played in the junior categories of FC Barcelona and also for two seasons at Barça Atlètic (1976-78), before playing for Algeciras, Sabadell, Celta and Lorca. Curiously, he is the father of Valencia's current soccer player, Santi Mina.